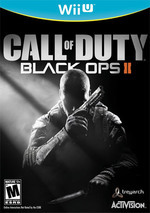 Call of Duty: Black Ops II brings players back into the shadows for another Black Ops mission assignment. 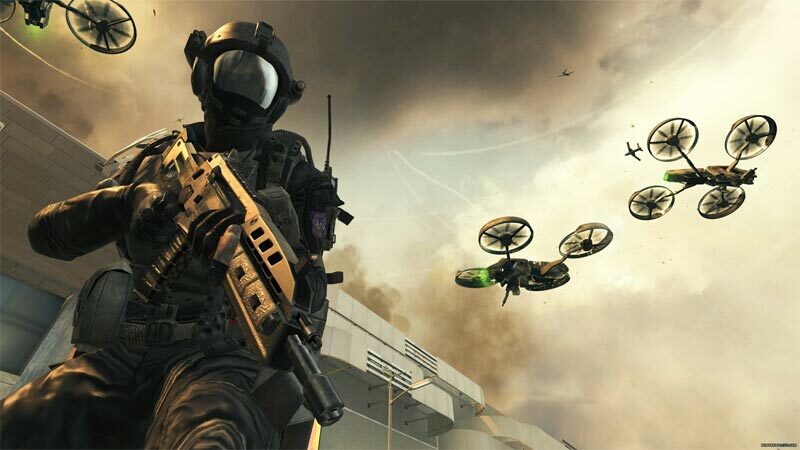 Rooted in near-future fiction, Black Ops II propels players into warfare in an epic single player campaign highlighted by branching storylines and non-linear missions. A re-imagined multiplayer suite introduces players to some of the most cutting-edge weaponry and equipment that 2025 will have to offer. 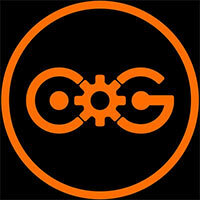 And on the outskirts of the campaign is an all-new Zombies experience running in the multiplayer engine. 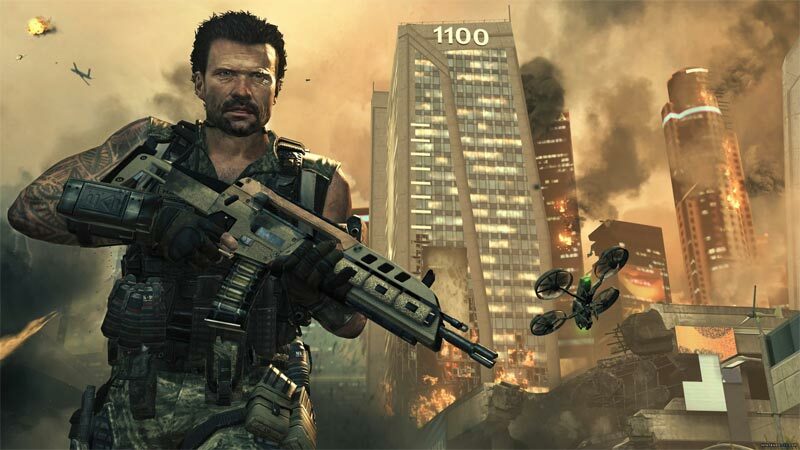 Though zombies mode is stagnating, the rest of Black Ops II is lively, and it is right at home on the Wii U. Developer Treyarch's storytelling prowess has once again resulted in an engaging, exciting campaign, and the online multiplayer population is likely to grow as more people acquire the new console. Though it's a shame that league play is dead on arrival, there's still a lot of taut action to enjoy online, helping Black Ops II provide the Wii U with its first great shooter experience. The team at Treyarch could have played it safe and Black Ops II would have sold well, but instead they challenged assumptions and pushed the series forward in awesome new directions. It’ll be hard to return to a campaign where I don’t have the ability to shape it, and I simply can’t imagine going back to the old loadout system now that Pick 10 exists. 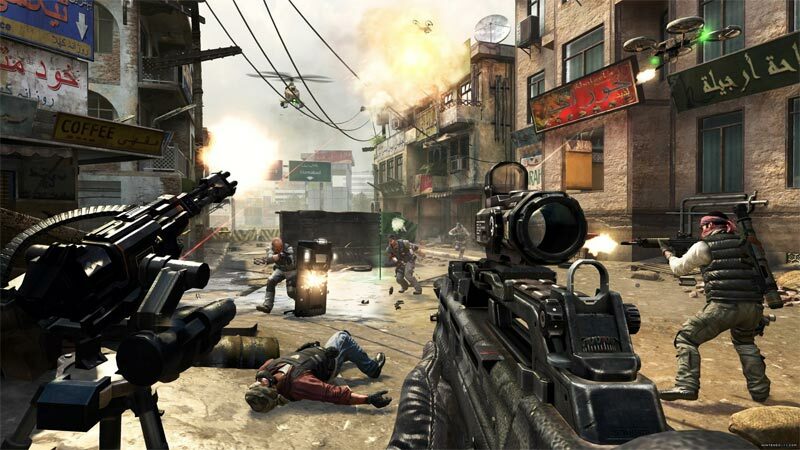 Combined with the host of subtle and overt improvements to the array of other systems, the additions to make it more appealing to Esports, and the more fleshed out Zombies mode, this is not just a fantastic Call of Duty game, but one of the best shooters of the last decade. It's a shame that Black Ops II isn't one of the series' best. The futuristic setting can't save the campaign's goofy narrative and increasingly arbitrary set pieces from leaving a dour taste, but the Zombies expansions breathe new life into the undead and the robust multiplayer suite is still top of its class — even if a currently struggling player count on Wii U hampers certain playlists. 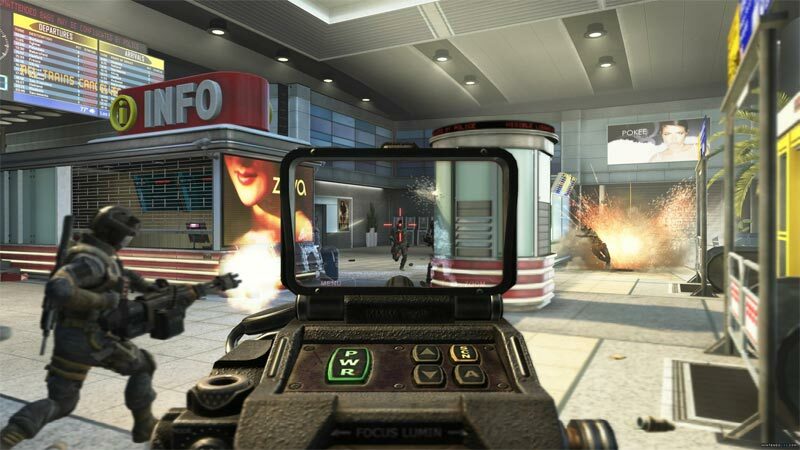 Black Ops II may not knock it out of the park, but it has it where it counts. Nothing is sacrificed with the Wii U version of Black Ops 2 and all the Wii U exclusive features work well. Granted, there is ample room for growth as the development team could have taken more advantage of some of the Wii U’s capabilities to its fullest. Nevertheless, as it stands today Black Ops 2 is the best shooter on the Wii U and makes for a solid purchase this holiday season. This is the Call of Duty experience that players on the Xbox 360 and PlayStation 3 get, plus it's got the added GamePad support to enhance it even further. It stands shoulder to shoulder with other platforms, which is remarkable considering that the Wii U is only a week old. It might have been useful to implement some touch-screen functionality to further streamline some menus and the custom class screens, but unfortunately, those features weren't included. As a full package, Call of Duty: Black Ops II’s superb offering of a balanced multiplayer, challenging Zombies modes, and entertaining single player campaign make it an excellent title to pick up on the Wii U. It's obvious that Treyarch have really tried, both as far as the campaign and the Zombies go, but they haven't made it all the way. There is a lot of potential in Black Ops 2, but perhaps there is just too much comfort with the signature style of the series, that it's impossible to make something truly captivating with it. 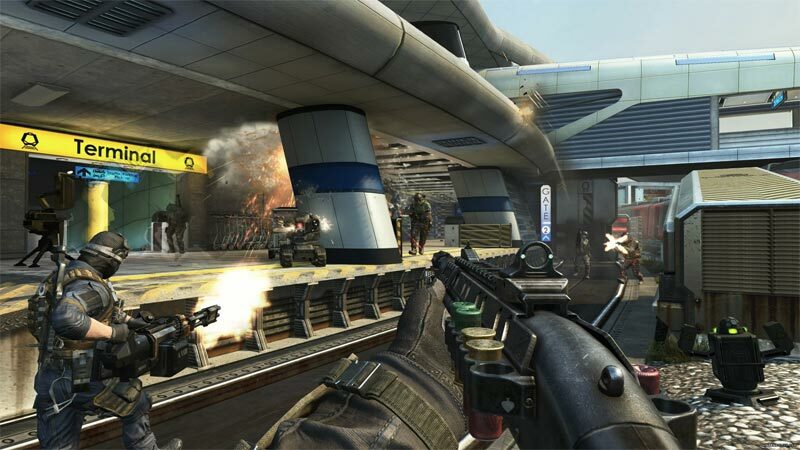 Black Ops II puede presumir también en Wii U de una campaña que permite tomar decisiones, que nos da misiones Strike Force y una ambientación futurista bastante fresca. No se ha mejorado visualmente el resultado obtenido en el resto de plataformas. El GamePad tampoco se ha aprovechado para apoyar a la jugabilidad, aunque es de agradecer que nos permita jugar sin necesidad de televisor. Zugegebenermaßen ist der „Splitscreen“, also die Verteilung von zwei Spielern auf Fernseher und Touchpad, eine witzige Idee - die dann aber beide mit deutlich weniger flüssigem Online-Spiel bezahlen. Immerhin ist Black Ops 2, im Bett oder auf dem Sofa via WiiU-Gamepad gespielt, ein weitaus besseres mobiles Call of Duty als es Declassified jemals sein könnte. Alles andere ist hingegen eine große Enttäuschung. En proposant un solo moins linéaire et moins manichéen que les autres titres du genre, ce nouvel épisode de Call of Duty nous donne vraiment l'impression d'avoir intégré les critiques faites à la série pour se surpasser. Ajoutez à cela un mode Zombies encore plus complet et un multijoueur compétitif toujours aussi fun et nerveux, et vous obtenez l'un des meilleurs opus de la série. A Treyarch alterou alguns pormenores, mas não quis mudar a fórmula de sucesso. Soube oferecer uma conversão competente para a Wii U, sem contudo explorar plenamente o potencial da nova consola da Nintendo. Inclui praticamente todos os modos de jogo das restantes consolas e adiciona alguns pontos interessantes através do GamePad.